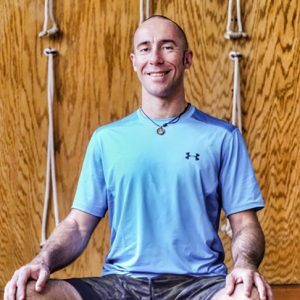 Adam began his yoga journey nearly a decade ago while on the verge of collapse, and it precipitated a complete transformation in his life. Through the brilliant guidance of Shanti Kelley and later Annie Carpenter, Adam learned to establish ground while embracing wisdom, humility, and devotion in his practice. Adam provides a challenging yet grounded experience, rooted in alignment and sustainability. His goal is to guide students towards honesty, precision, and understanding in their practice.